2. The National Interest: George Beebe, Making Sense of Our Russiagate Failure. Healthy skepticism took a back seat to a story that too many were too eager to believe. 3. The Nation: Nadezhda Azhgikhina Russia Reacts to the Release of the Mueller Report. While few people in Russia expect relations between the two countries to improve, some hope that direct, citizen-to-citizen contact can slowly bridge the rift. 4. RFE/RL: Rising Mortality Rates Challenge Russia’s Efforts To Kick-Start Population Growth. 5. RFE/RL: Gallup Poll Shows One In Five Russians Would Migrate West If Possible. 6. TASS: Russia’s rate of emigration-minded people no higher than in US, Kremlin says. 8. Paul Goble: Russians’ Happiness More Dependent on Nationalism than on Money, Sociologists Say. 9. Paul Goble: Tired of Strong Hand, Ever More Russians Want a Parliamentary Republic, ‘Nezavisimaya Gazeta’ Says. 10. Bear Market Blog: Audit Chamber announces who will be audited. 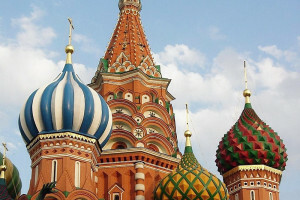 12. www.rt.com: Russian sovereign bonds selling like hotcakes as demand breaks all-time record. 13. Financial Times: The UK executives helping Putin burnish Russia’s image. Meeting with top British businessmen could not come at a better time for the Kremlin. 14. The Economist: The uses of fear. Vladimir Putin turns to attacking the elite. It’s an ancient tactic. 16. Reuters: Kremlin Says Trump Idea for Deal to Cut Arms Spending Should Be Looked At. 17. Meduza: NATO was born 70 years ago today. Moscow has always viewed it as a threat, but that hasn’t prevented three attempts to join the alliance. 18. Washington Post: Henry Olsen, It’s time to rethink the NATO alliance. 19. Russian Ministry of Foreign Affairs: Comment by the Information and Press Department on the 70th anniversary of the North Atlantic Treaty Organisation. 20. Valdai Discussion Club: Alexander Rahr, Europe’s Choice. 22. Foreign Affairs: Leon Aron, Are Russia and China Really Forming an Alliance? The Evidence Is Less Than Impressive. 23. TASS: Izvestia: Russia has the answer to Washington’s anti-Venezuela sanctions. 25. Al-Monitor: Maxim Suchkov, Putin, Netanyahu break ground on deeper Russia-Israel engagement. 26. AP: Russia revamps Arctic military base to stake claim on region. 27. Reuters: Children of Stalin’s Victims and Jailers Bury Ghosts of Past in Siberian Village. 28. Intellinews.com: Ben Aris, Pro-Russian vote in Ukraine’s presidential election first round revealed as strong by official tallies. 29. TASS: Nearly half of Ukrainians expect presidential candidates to offer Donbass issue solutions. 30. The Guardian (UK): Volodymyr Ishchenko, A comedian could be Ukraine’s next president. How did that happen? Volodymyr Zelenskiy has united a polarised country by rejecting angry nationalism – but his politics offer no panacea. 31. Intellinews.com: Ben Aris, Showdown: Ukraine’s president and comedian challenger to square off in Olympic Stadium debate. 32. Reuters: Comedian Rips Up the Play Book in Ukraine Election Success. 34. The Economist: Send in the clown. A TV comedian wins the first round of Ukraine’s presidential election. A massive rebuff to Petro Poroshenko. 35. Wall Street Journal: Kimberley Strassel, The Mueller ‘Coverup’ Gambit. Why Barr is right to release the report with redactions and publicly, all at once. 36. Kirk Bennett: TYING UP THE LOOSE ENDS OF RUSSIAGATE. The unfinished business of Russiagate consists of clearing the names of innocent people; holding senior bureaucrats to account for errors of judgment and abuses of power; and restoring the tarnished image of democratic governance. 37. The Hill: Edward Lynch, Was President Obama better for Russia than President Trump? 39. Spectator USA: Michael Tracey, ‘Boom!’: an autopsy of the media after the Mueller bombshell. Dunking on Rachel Maddow may be fun, but she’s far from the sole perpetrator.